Hudsons on the Mile features an exciting menu of the freshest seafood, sushi and steak. 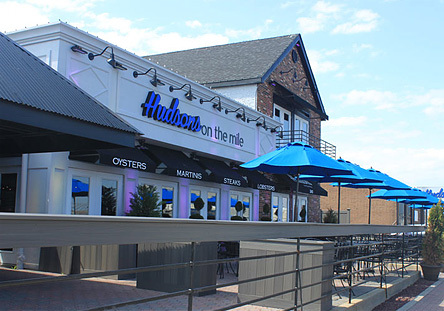 Located on the scenic nautical mile in Freeport, Hudsons can accommodate guests on our beautiful outdoor bar & patio. Join us in the summer months as we feature live music daily on our outdoor stage! Hudsons also hosts private parties. Call us to learn more about hosting your special day. Note: Hudsons entertainment is seasonal - so be sure to check the website in the Fall/Winter months.